West Coast Wonders is just one of the many exhibits at International Quilt Festival at Long Beach Convention and Entertainment Center in Long Beach, California from July 27-29, 2012. This special exhibit of IQF Long Beach will showcase quilts dedicated to the beauty of the west coast of North America–the cities, bays, coastline, ocean, waves, lighthouses, cliffs, homes, boats/ships, birds, wildlife, wildfires, and range in weather. Upper MidWest Show is at Olympia Resort and Conference Center in Oconomowoc, Wisconsin, August 2 – 4, 2012. This is a juried and judged show of machine quilted work with many categories. The Quilt Show is made up of online programs with Alex Anderson and RIcky Tims, who have guest quilt artists. 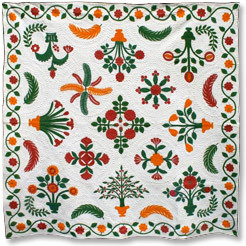 They have a free sign up from which you get weekly emails with all sorts of quilt-related info. You can be a paying member to view the programs and everything they offer, or you can be a “member” who gets the weekly emails. The Smilebox slide presentations that I post on my blog are from The Quilt Show. These show winning quilts from various quilt shows as well as other quilts, quilts of specific artists (for example: Cathy Franks’ work). Now the show is offering a free six week class with Laura Nownes which is a beginner class, but I will be taking it. It starts on July 31, 2012. Join Laura Nownes in this NEW six-part class as she walks you through the process of creating your own contemporary sampler quilt. Learn the basics or brush up on your skills–great for beginners and seasoned quilters alike. When you get to the class site, you’ll need to sign up. Then you can be a part of the class. No affiliation> Just a happy member. 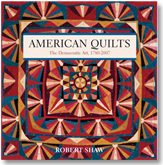 “American Quilts: The Democratic Art 1780 – 2007” will be on exhibit from August 4 – October 28, 2012, at the Whatcom Museum in Bellingham, Washington. Check out the lower part of the page : http://www.whatcommuseum.org/galleries/upcoming/356-american-quilts-the-democratic-art-1780-2007- to see slides of some of those quilts. 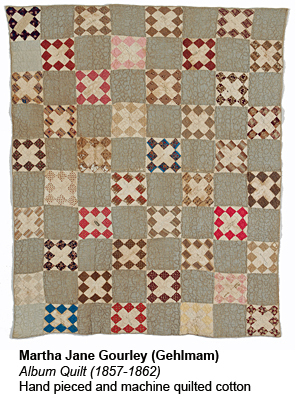 “Civil War Era Quilts from the Illinois State Museum” is on exhibit at the The Illinois State Museum Chicago Gallery to September 14, 2012. The gallery at 100 West Randolph, downtown, is open only Monday through Friday, 9 AM to 5 PM, (closed state holidays.) The Gallery is free and wheelchair-accessible. and to Nebraska State Historical Society in Lincoln from February 1- June 1, 2015. What I’m emailing about is that our guild, Project Linus and possibly the night guild are starting a quilt drive for the victims of the Waldo Canyon Fire (actually one of my favorite places to hike). We are working out the logistics for this but have two drop off points here in Colorado Springs. Would you be willing to help us get the word out to fellow quilters? We’re asking for new, unused quilts and quilt tops in sizes from lap to twin. They can be dropped off at either High Country Quilts, 4771 N. Academy, Colorado Springs, Co, 80918 and Ladybug Hill Quilts, 955 E. Fillmore, Colorado Springs, CO, 80907. “Collections and Creations, the Quilts of Hazel Carter” is at the Virginia Quilt Museum through August 18, 2012. The exhibit includes quilts that she has made as well as antique quilts from her collection. http://augustafreep ress.com/ 2012/04/16/ quilts-of- hazel-carter- on-display/ and a link to the Museum: http://www.vaquiltmuseum.org/current.html or visit their facebook page.